During the past quarter-century, as a new Africa emerged from decades of political and economic stagnation, Africans have awaited bold and attentive leadership from America’s political leaders. While the United States fiddled, China rushed into spaces opened up for investment, trade and infrastructure construction. During his visits to Kenya in August 2006 as U.S. senator, and to Ghana as U.S. president in July 2009, Mr. Obama demonstrated a profound understanding of the centuries of largely destructive external intervention in Africa, of the self-inflicted wounds of post-colonial politics, and also of the immense growth opportunities of this vast sub-continent. The questions he should address during his visit to Senegal, South Africa, and Tanzania include how the promotion of growth, democracy and security in sub-Saharan Africa fits into his Administration’s priorities. Is he prepared to upgrade Africa from the periphery of his government’s concerns? Will he encourage greater American engagement with a sub-Saharan Africa expected to double in population by mid-century, and much more in economic output? And, following the examples set by Jimmy Carter and Bill Clinton, does he foresee a major engagement in Africa during his post-presidency? Howard French, in his remarkable AfricaPlus essay, “The China-Africa Convergence: Can America Catch Up?”, describes sub-Saharan Africa as a “vast region of the world on the move.” French is correct, but there are multiple and sometimes contradictory trends. To elucidate them, I distinguish a prismatic from progress and disaster narratives. A year ago I wrote: “the prismatic narrative requires assessing African developments through the prism of how key dimensions interrelate and the complex interplay of local, regional, and global factors.” While China and other countries rushed to take advantage of trade, mining, construction, and other investment opportunities in Africa, the American Agenda is inevitably broader and anchored to the building of more democratic, peaceful, and developmentalist states. [i] In brief, Americans cannot settle for either the progress or the disaster narrative about Africa. More is required of us to be truly effective in a very diverse continent undergoing major transformations. The three countries selected for President Obama’s visit illustrate this abiding commitment. Senegal has the longest democratic experience of any African country and possesses one of the deepest democratic cultures. Certain categories of Senegalese were electing representatives to Paris assemblies long before the vote became available in the rest of the continent. Yet the unique opportunity secured by Abdoulaye Wade when he and his party, the Parti Démocratique Sénégalais, triumphed in the 2000 elections, was tragically wasted. The record of his twelve years in office differed little from the performance of African regimes he strongly criticized during his many years in opposition: grandiosity, inefficiency, the neutering of democratic institutions, and pervasive corruption. Even his son Karim, whom he favored with a host of governmental positions, is now awaiting trial for grand larceny of public funds. Nevertheless, the American relationship with the people of Senegal does not diminish because of the misdeeds of any particular elected government. As was demonstrated during President Obama’s first term, the United States has been resolute in supporting the restoration of capable and democratic states in West Africa, including in other francophone countries such as Niger, Côte d’Ivoire, and Mali. Unlike other external nations, and to its credit, the U.S. does not push investment opportunities in utter disregard of the political context. 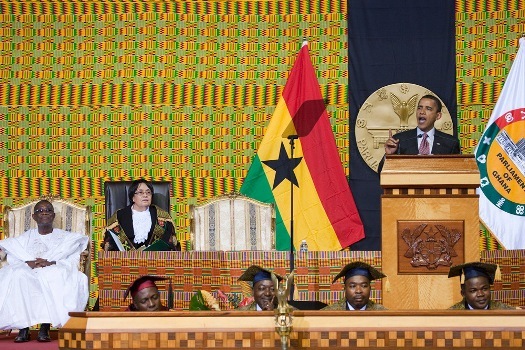 As President Obama firmly stated in Accra, an American partnership with Africa to build “a broader base for prosperity” involves helping governments uphold transparency, accountability, human rights, and the rule of law. Senegal is justly rewarded with a presidential visit in light of the removal of the Wade regime via democratic means, and the election of Macky Sall as president in the July 2012 elections amid mass protests and fears that Wade would not cede to the popular will. 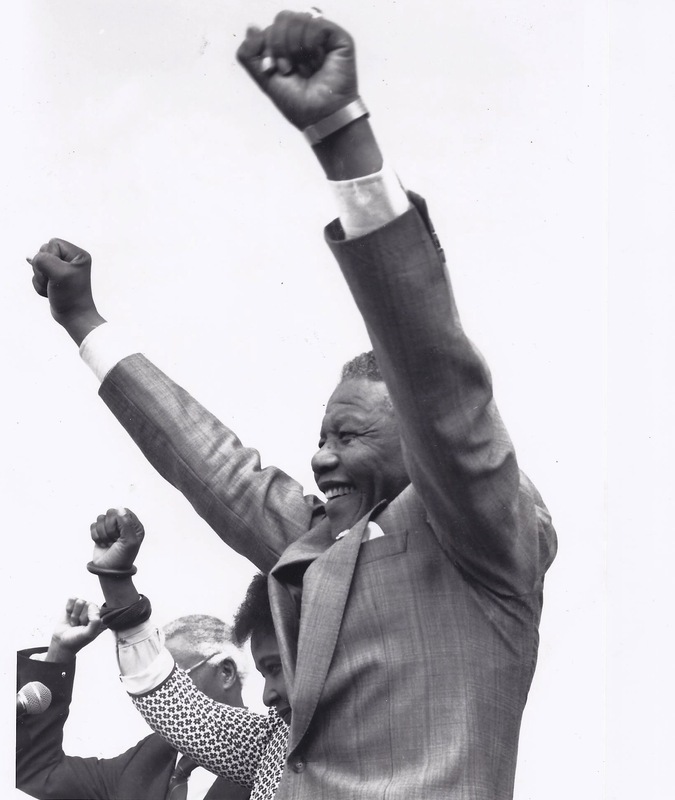 But South Africa’s achievements since 1994 greatly exceed the setbacks. President Obama will celebrate upon his arrival one of the momentous achievements of modern history: the negotiated transition from an oppressive system, based on racial and ethnic distinctions, to a fully liberal democracy. Moreover, President Obama has the opportunity to help revive the promises of South Africa’s liberation from apartheid and the building of a democracy committed to lifting all its citizens from material deprivation. Tanzania, the third country on President Obama’s itinerary, demonstrates how important the prismatic framework is to understanding developments in contemporary Africa. As I have earlier written, there is “unprecedented cooperation now taking place in Africa between national, regional, continental, and international agencies.” Despite the bombing of the U.S. embassy by Islamist extremists in 1998, Tanzania has avoided many of the security challenges of other African countries. It has followed a deliberate path in retiring its one-party system and liberalizing its state-dominated economy. President Obama will complete his journey in a country that is a beacon of democratic stability in a region challenged by ethnic hostilities, Islamist extremism, entrenched autocratic leaders, and predatory militias. There are today many models of political and economic governance in Africa, reflecting decades of experimentation. Tanzania is one of them. It has a largely home-grown system that was set on an evolutionary, and social democratic, course under its first post-independence leader, Mwalimu Julius Nyerere. It has avoided military coups, major civil unrest, and interruptions in the peaceful transfer of leadership via largely free and fair elections. Howard French has advanced a wonderful notion: Scenarios of Extraordinary Opportunity. No one who has traversed contemporary Africa, and paid attention to what is going on, would miss the extraordinary opportunities emerging after decades of low growth and stagnation. In my case, research projects took me often to Nigeria. In the midst of the seeming chaos, a dynamic megalopolis has emerged in Lagos state under enlightened leadership. There, as in other African megacities, Americans should show up, as French suggests, as investors and builders. The stage is set for Barack Obama to lead the American response to these opportunities, anchored, as mentioned above, to an enduring commitment to democracy, human rights, and the rule of law. “The true sign of success”, he declared in Accra, “is whether we are partners in building the capacity for transformational change.” That partnership awaits fulfillment. I will conclude with specific recommendations regarding this people-to-people commitment. 1) 2030 should be chosen as the date, in association with the World Bank, the United Nations, and other international organizations for achieving greater human development in Africa, and especially poverty reduction. We are learning how to eliminate extreme poverty. China has accomplished it for almost 700 million of its citizens. The key features are sustained economic growth and programs targeted to eliminating inequality, including providing direct cash transfers to the penurious via innovative mechanisms. The United States should be a leader in bringing at least another billion people out of extreme poverty by 2030, many of them in Africa, and spearheading the post-2015 Millennium Development Goals (or its equivalent). 2) The United States does not have to match what China is doing in Africa. In fact, Africans are fully aware of the demerits of aspects of China’s engagement. American quality control, environmental sensitivity, attention to workers’ rights, and many other advantages are available to countries that contract with American firms on major development projects. However, as bribery cases involving large western firms in Africa, such as Halliburton and Siemens, demonstrate, American anti-corruption laws must be complemented by vigorous scrutiny of their activities within Africa and globally. What Mr. Obama and his advisers should focus on is how the U.S. government can further incentivize American corporate, educational, health and other entities to take advantage of the scenarios of extraordinary opportunity in Africa. Howard French has stated the challenge admirably, “the United States has a big potential role to play in helping African nations think through issues of urban creation, renewal planning, as well as the development of better systems of sanitation, power, transportation and housing.” A program of challenge grants to American institutions, as resulted in the rapid emergence of such sectors as sustainable energy, is a method by which the Obama Administration can ramp up American engagement in African human and technological development. While the U.S. government can be the sparkplug, the implementing capacity will be provided by America’s institutional might in truly collaborative relationships. The United States is bursting with enthusiasm for deeper engagement with Africa. Many students in my university, Northwestern, as in others now study the continent intensively and many travel there for hands-on experience. If the next half-century belongs to Africa, as the previous half-century has been for Asia, Americans must be an important part of the story – and so must President Barack Obama. His personal ties to the continent exceed those of most of his fellow citizens. Destiny has a way of catching up with us, even amidst the burdens and challenges of other global concerns. [i] In a forthcoming article, to be published in an edited book by Joseph Stiglitz and colleagues, and also in a Workbook on African Economies by Célestin Monga and colleagues, the notion of developmentalist states is fully discussed: Richard Joseph, “Industrial Policies and Contemporary Africa: From Prebendal to Developmental Governance”. [ii] For an introduction to the concept of prebendalism, see Wikipedia. A recent edited volume examines the continued pertinence of this concept to understanding Nigerian, and more generally, African politics. See Wale Adebanwi and Ebenezer Obadare, Democracy and Prebendalism in Nigeria: Critical Interpretations (Palgrave Macmillan, 2013). Cambridge University Press is re-publishing this year my 1987 book, Democracy and Prebendal Politics in Nigeria: The Rise and Fall of the Second Republic. [iii] This was the subject of my first article on the phenomenon I now call “discordant development”: Richard Joseph, “Affluence and Underdevelopment: The Nigerian Experience”, The Journal of Modern African Studies (1978). [iv] In this regard, President Obama’s associates should revisit the 1994 White House Conference on Africa. Many scholars and policy experts, myself included, contributed working papers for this event. However, President Clinton showed up for a brief photo-opportunity, and the entire effort dissipated into what seemed like a public relations exercise following the Rwandan genocide. Mr. Obama’s team can do much better. [v] It was my expectation, when I served on the Africa Task Force of the Obama 2008 campaign, that the work done by an impressive group of experts would continue in some form during an Obama Administration. This has not happened, to the detriment of policy-making and the continued mobilization of considerable intellectual and other resources. ← The China-Africa Convergence: Can America Catch Up?